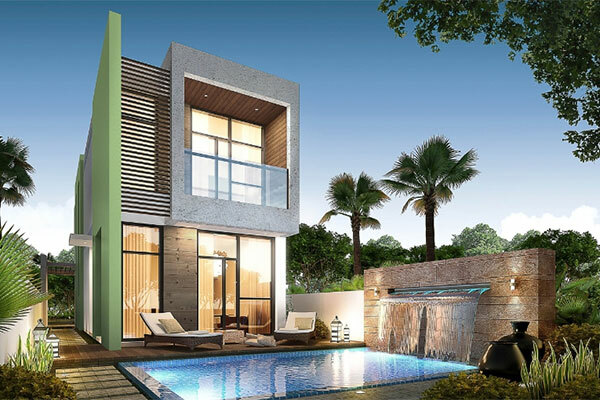 Dubai-based Damac Properties has announced the release of Akoya Imagine plots within an international golf community. The leading luxury real estate developer is providing the opportunity for investors to purchase land plots in a thriving community, comprised of colourful villas and featuring low annual community fees with an extended time to build for up to 10 years. Plots will be released with a starting price of Dh600,000 ($163,000) and will go on sale on August 20 in Dubai, UAE at Jumeirah Emirates Towers Hotel. Ziad El Chaar, managing director, Damac Properties, said: "Investments in golf communities typically enjoy higher returns as supply remains limited and are considered more financially stable than investments in financial instruments. For those investors considering suitable long-term opportunities, this exciting development represents the perfect occasion to plan for their children's future, their own retirement or to grow and enhance their financial portfolios. Furthermore, Dubai is also known for its prime release estate and high yields, offering a more secure and stable investment environment than most other investment classes." In addition, at the same sales event, Damac Properties will be launching its 33-storey Tower 108, a collection of serviced hotel apartments located in Jumeirah Village Circle.